That word… the ‘C’ word and it’s still only July, I know I know! Retail and fashion however live on a different planet when it comes to being seasonal. 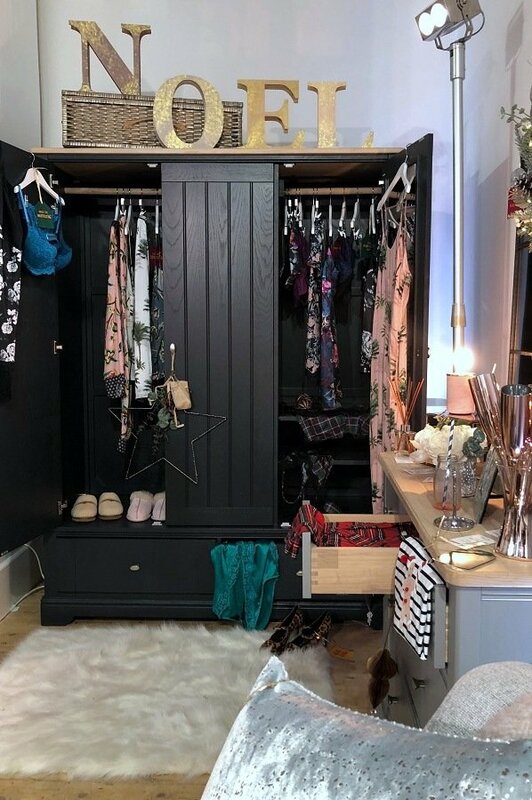 Next, along with many other high street shops and brands must organise their manufacturing, their collections, their stores and their staff way in advance of us mere mortals. If they didn’t we would have nothing to buy come Autumn and Winter except left over sale t-shirts! That word… the ‘C’ word and it’s still only July, I know I know! Retail and fashion however live on a different planet when it comes to being seasonal. 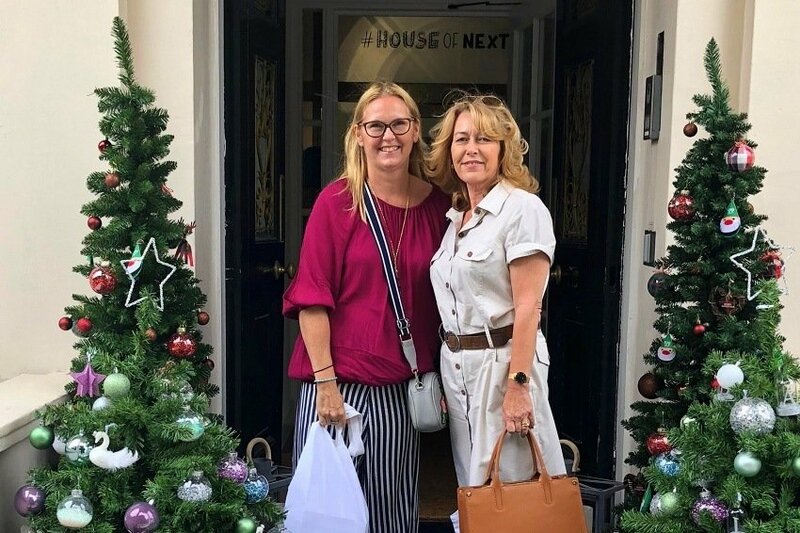 I caught the early morning train to london, met up with laurie and we toddled off to the Next Christmas House. When I say house I truly mean a house. 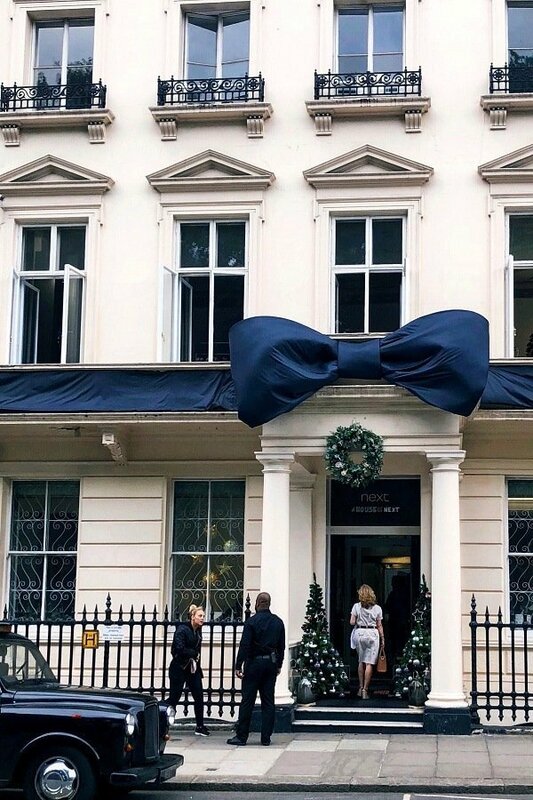 Next had taken over a beautiful building in Grosvenor square and wrapped it up like an beautiful Xmas gift. The hash tag was #houseofnext look it up on instagram to see more. I thought this was clever and I suspect it will be in store windows come xmas? 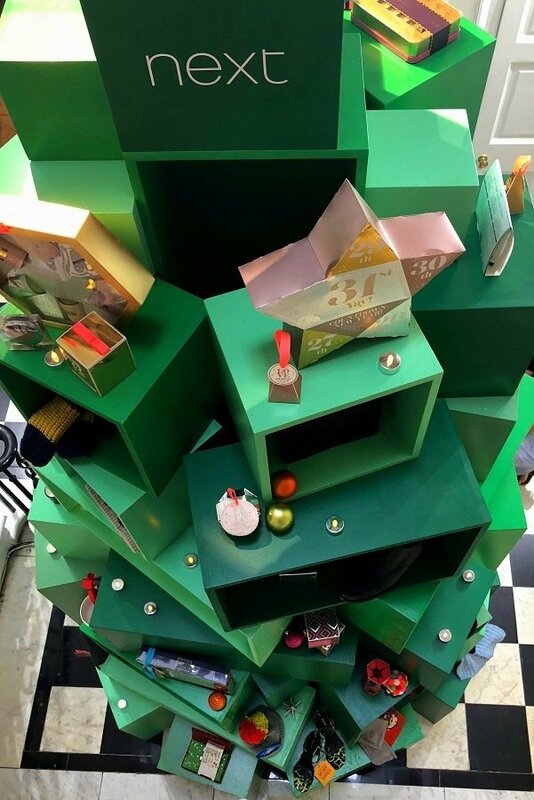 A giant advent calendar made of stacked green boxes, like a christmas tree and filled with Erica Davies’ choice of gifts. 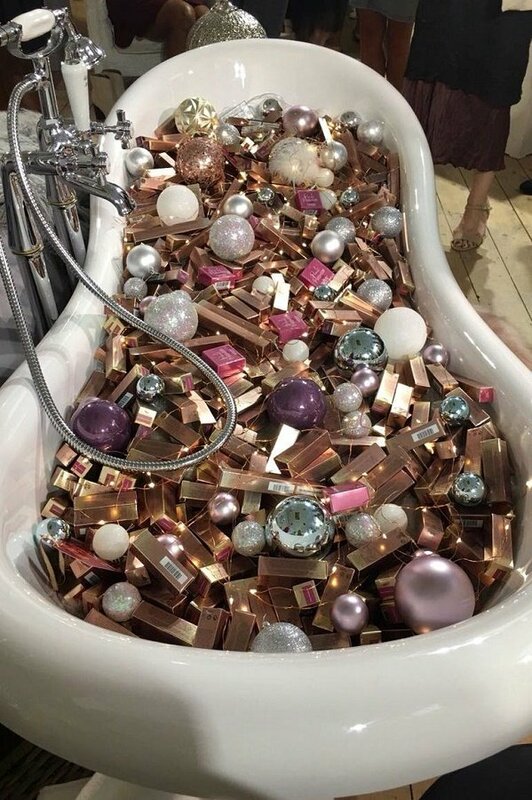 The Bath full of Next Beauty Products! We had arrived at precisely 11pm because we were sitting in on a fashion panel talk. 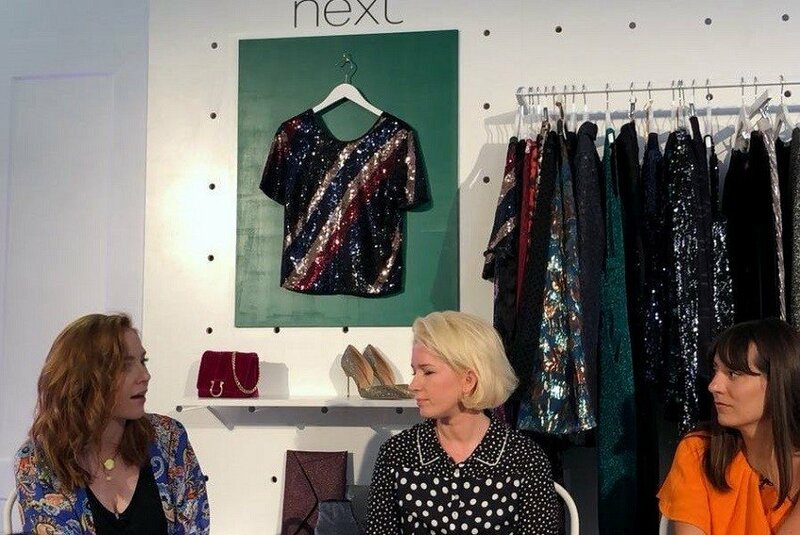 The panelists were all from fashion, one was a journalist one was an influencer (katherine Ormerod wearing orange) and the other lady was head of womenswear at next, these three were interviewed by the bubbly Angela Scanlon (far left). It was a fascinating and very girly conversation. After that was coffee and I ate a huge chocolate muffin! Next is a high street retailer, so no major fashion trends or surprises, but there were some lovely stand out pieces for the coming season. I adored the printed pyjamas range so elegant I would wear them to a party! In the interest of blogger (research as I am sure you will understand) I bought the blouse! 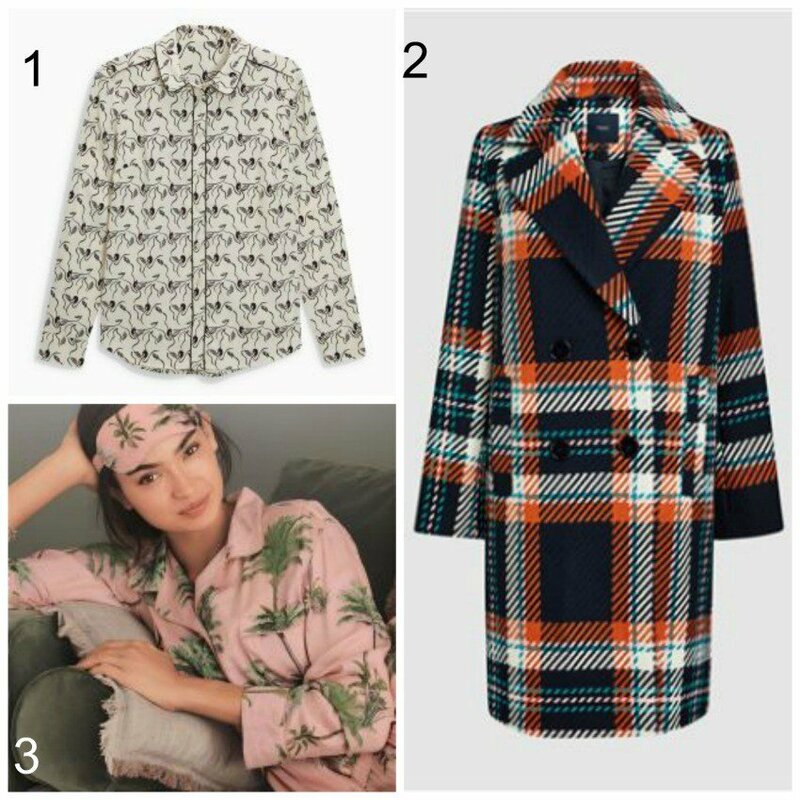 The pyjamas are going on my xmas list and the coat I will try on in store…I love a good plan! Bright Checked coat only £75 ! 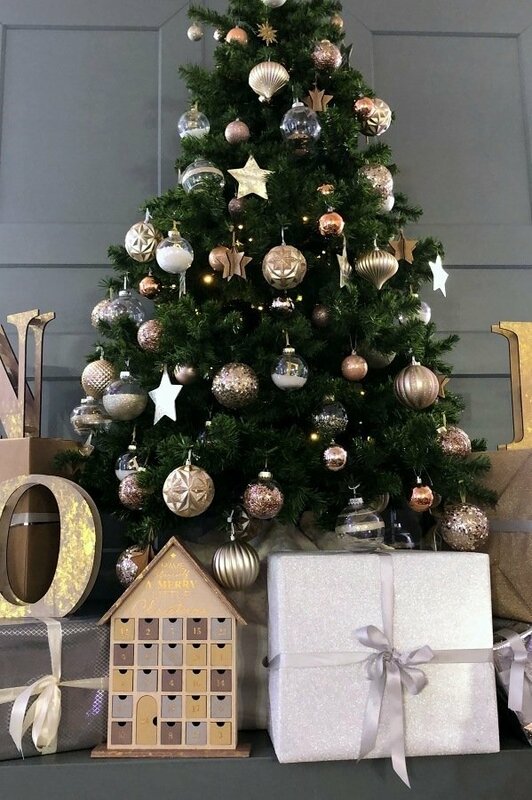 Blog hopped and found you and Christmas at Next, which was very apt as my son works for the catalogue company that produces Next catalogues and this week he has been working on Next Christmas wrapping paper!! Haha thats brilliant lovely to have you! Yes it was all a bit surreal with the heat outside and the twinkly lights inside? That coat!! Oh it s a fantastic one, and the price is unbelievable. Sounds great to attend those events! Have a great weekend Ashley! You too have a super weekend!